Kansas is riding high after dominating Rutgers, but there are some lingering questions as the season begins to get tougher. KU dismantled Rutgers last week to earn its first winning streak in seven years. The Jayhawks ran the ball through the teeth of the Scarlet Knights defense, they broke Rutgers’ true freshman quarterback, and they controlled the line of scrimmage. The game was a cathartic performance for David Beaty’s team. 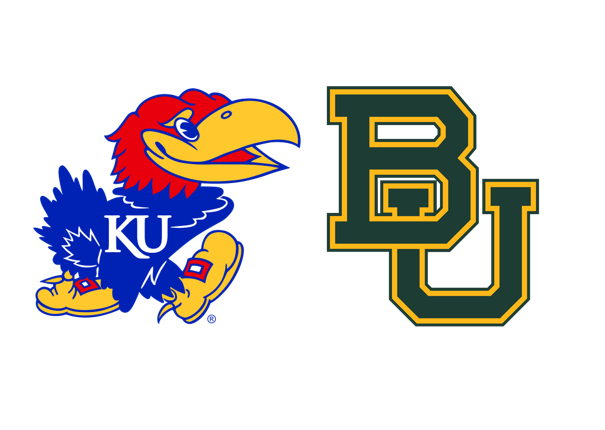 While there is certainly some cause for celebration, this week’s matchup at Baylor begins the true test of just how “back” KU football actually is. Kansas’ schedule through the first six weeks is like a ladder. Each game is tougher than the previous, as each opponent is better than the last. Kansas stumbled on the first rung then rebounded on the next two. Baylor represents their toughest test yet, and after the conference opener in Waco, it only gets tougher the next two weeks. Which quarterback will Baylor start, and will he have a chance to solidify himself? Much like KU, Baylor has been rotating between two quarterbacks. According to Matt Rhule’s comments from his weekly press conference, it looks like he will continue to rotate in both Jalan McClendon and Charlie Brewer. Brewer, a sophomore, lit the Jayhawks up last season in what was essentially his debut game. While McClendon, a graduate transfer from North Carolina State, has been more efficient than Brewer (he has three touchdowns and two incompletions so far this season), the job seems to be Brewer’s to lose. Either way, the quarterbacks are getting a major boost with the return of star wide receiver Denzel Mims. Last season, Mims was a 1000 yard receiver, and he is expected to be a highly sought after prospect in the upcoming NFL Draft. As a whole, Baylor’s receiving corps is the best the Jayhawks have faced in 2018. They are big, strong, and talented. Former Tennessee running back Jalen Hurd has adapted to the position change well, grabbing two touchdown receptions already. Throw in explosive 6’3” Tyquan Thornton, and Kansas’ secondary has its hands full. Baylor has struggled getting their running game going, which will be hampered further by the suspension of JaMycal Hasty for the first half of Saturday’s game. While Baylor has some talented backs, their relatively green offensive line will look to get going against a defense that has been incredibly stout against the run so far. With Daniel Wise healthy and ready to go this Saturday, I expect KU to continue its great run defense on Saturday. So far the story of this year for KU’s defense has been the turnovers, and rightfully so. 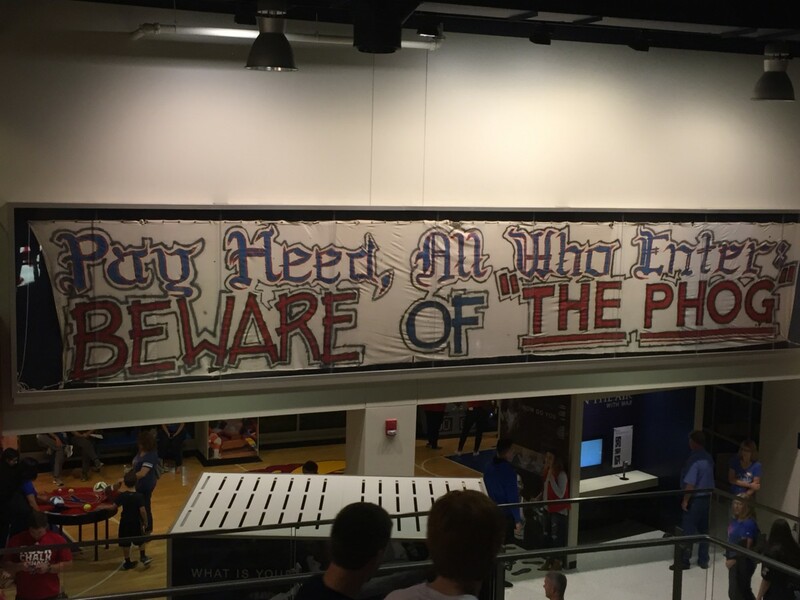 KU leads the nation in turnover margin and takeaways (also, love the Swarm Master idea). Turnovers are often attributed to luck, but KU has a legitimately good defense. According to S&P+, a metric which considers turnover luck, KU has the 25th best defense in the country. The question this week is how good will the defense be against an actually lethal offense? With KU’s secondary facing a physical and fast receiving corps, it will be critical for guys like Brian Lipscomb, Darrius Moragne, and Azur Kamara to make their impact felt around the edge. 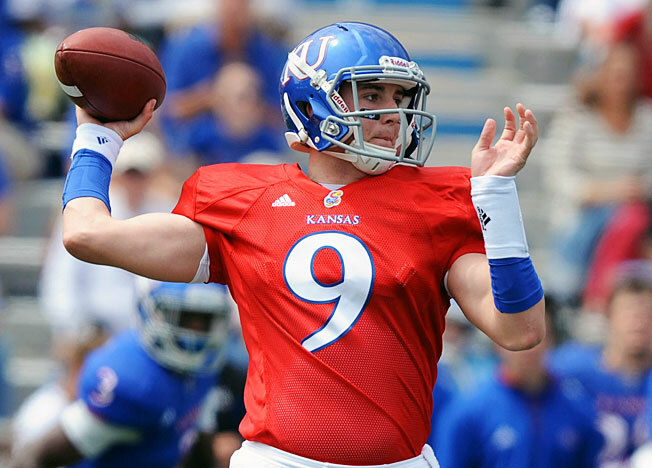 David Beaty announced that Peyton Bender will be the starter at quarterback this Saturday. While I personally thing Miles Kendrick moved the ball better during his stint as quarterback last week, I think it’s important that Beaty doesn’t switch quarterbacks when the other has momentum. Kendrick can do just as much as Bender in the passing game and adds a new found dynamism in a read option set that Bender doesn’t provide. Given Baylor’s inability to stop the run so far this season, I expect Kendrick to get snaps this Saturday. Baylor was gashed by Duke to the tune of 225 yards on the ground. In his weekly press conference, Rhule had this to say about Kansas’ backfield: “They do a good job of spreading you out and finding a way to run the football. Anytime you have a back that gets back-to-back 100-yard games, especially one against a Big 10 team, that’s saying something.” It will be a point of emphasis for this young Baylor defense. I expect they will stack the box early in the game to try and force Bender to beat them with his arm. 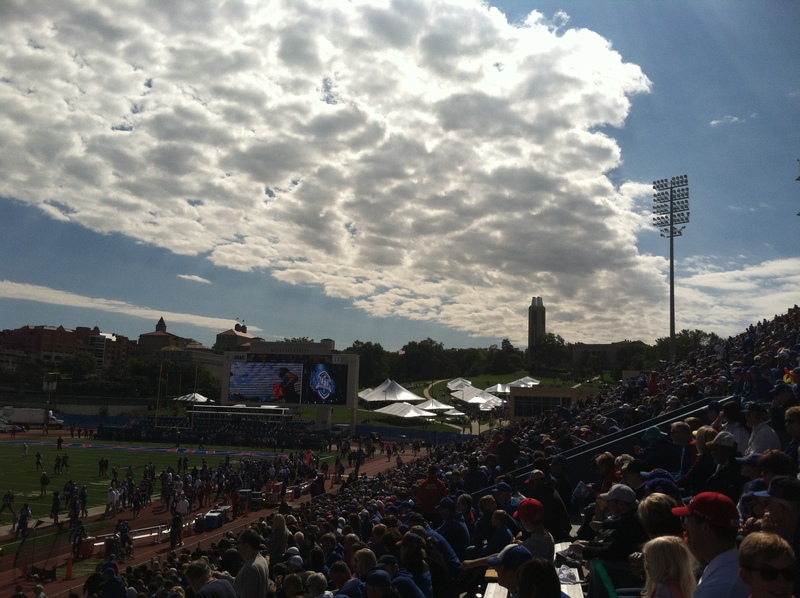 With the rainy forecast for Saturday, I expect KU to go to the ground early and often. If the Jayhawks rely on Pooka Williams, Khalil Herbert, and the rest of their talented running back corps, then they should be able to move the ball. I think after this one, the quarterback situation should begin to become clearer. I am 0-3 on predictions in Kansas games so far this season. To be fair though, so has Sagarin, S&P+, and the Vegas odds. This week Sagarin has the Jayhawks as six-point underdogs, while S&P+ has Kansas losing by eight. Finally, Vegas has the Jayhawks as 7.5-point underdogs. I think KU will cover the spread. They are playing a leaky run defense in rainy weather. I expect the Jayhawks’ defense to continue to stifle opposing offenses. If Charlie Brewer plays to his potential and protects the football, Baylor should still win the football game. The season only gets tougher from here on out for Beaty’s team. ← Monday Notebook: Football Good? Football Good!